I’m a big fan of apartment rentals when I travel – I love having my own space to relax in and getting to know a new neighbourhood, exploring its cafes, shops, bars and hidden corners. It can also save you money too, especially if you’re happy to self-cater some of the time or travelling with a group. The only problem is knowing where to look for the perfect place, and narrowing it down from the hundreds of options. 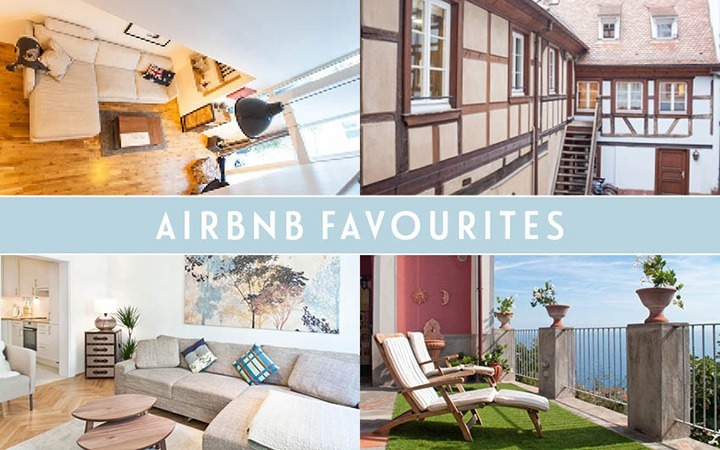 One of biggest sites for booking rental accommodation is AirBnB, and this summer I put them to the test with four stays in four different cities around Europe – and they didn’t disappoint. Here’s how I got on, as well as some tips if you’re new to AirBnB and thinking of giving it a try for yourself. Bergen is a pricey place, where budget hotel rooms are £130 plus a night, making rentals a good option. We originally booked a smaller apartment but as the owner was doing some work on it he moved us to his own place – a quirky little wooden house built in 2006. It’s located on a steep cobbled street in Nordnes, a few minutes’ walk from Bergen’s waterfront, with cafes and a supermarket nearby. The house is set over two floors, with one double bedroom plus a double bed on a galleried walkway upstairs, then a bathroom and open-plan kitchen, diner and lounge downstairs. The corner sofa turns into another bed so it can sleep six people in total, so we had plenty of space to spread out. As the owner lives here some of the time there were lots of personal touches, like books and records to borrow and kitchen ingredients we could use. What I loved: the homely feel and the fab map pinboard in the kitchen. What I didn’t: no TV (normally I wouldn’t care about this but it was the Eurovision final – my guilty pleasure – while we were there and it doesn’t work so well on the radio!). The cost: three nights in May for two people cost £291 in total (£48 per person per night). 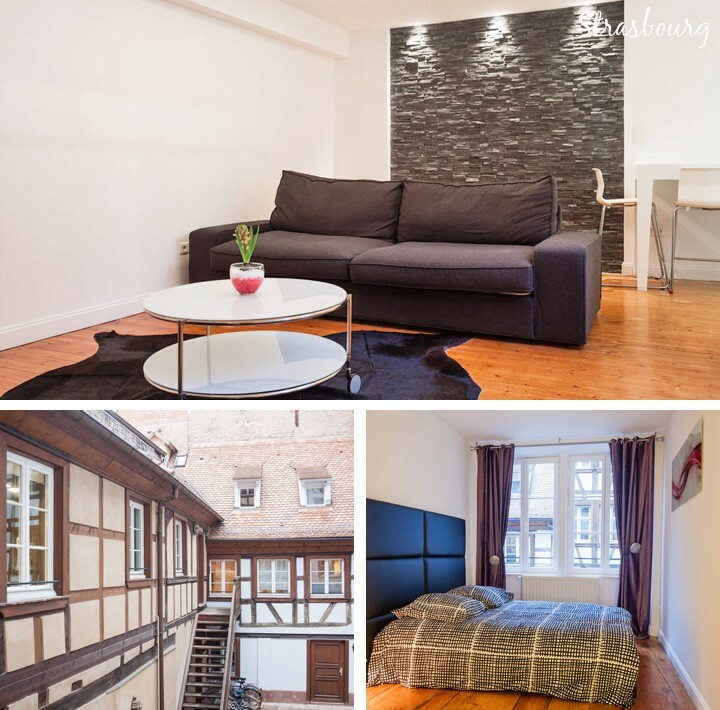 Right in the centre of Strasbourg, only a few minutes walk from the pretty Petite France area and about 10 minutes from the cathedral, this apartment is located on a pedestrianised cobbled street. It’s only about 10 minutes from the train station too which saves on taxi fares. Tucked away through a doorway and down a little passageway, you come out into the courtyard of a traditional half-timbered Alsatian building. The apartment is on the first floor and is a total contrast to the outside of the building – ultra-modern with polished wood floors and lots of white – though there are a few original details, like the wooden beamed ceilings. There’s one bedroom and a sofa bed in the lounge, with plenty of space so it doesn’t feel cramped even with the bed out. The kitchen’s well designed with lots of storage, and probably better equipped than mine at home, though there’s only a breakfast bar seating area rather than a dining table. What I loved: the mix of historic building with modern design, and the incredibly well-equipped kitchen. What I didn’t: the bathroom has an opaque glass door which isn’t hugely private, so you probably want to make sure you know your fellow guests well! The cost: three nights in July for four people cost £384 in total (£32 per person per night). Not knowing Vienna very well I picked a location a bit at random, but couldn’t have got better than this apartment. 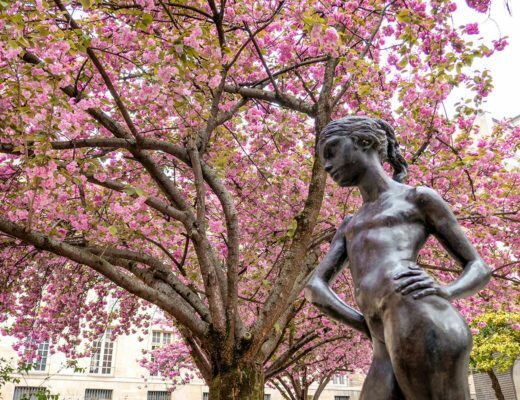 It’s right on the Ringstrasse – the road circling many of Vienna’s top attractions – and just across the road from the Burggarten park and Opera House. So you can easily walk to anywhere in the centre, with a tram stop outside and a couple of metro stations nearby if you’re going further afield. The apartment’s on the fourth floor of a lovely historic building, with high ceilings and big windows. It’s been beautifully decorated with lots of muted colours along with interesting touches like the suitcase chest of drawers. There’s one double bedroom and a corner sofa that turns into a double bed. The kitchen is clean and modern with a new cooker, microwave and dishwasher, and there’s a dining area in the lounge. There are a couple of Spar supermarkets within a few minutes walk and it’s not far to the Naschmarkt either. What I loved: being right on the Ringstrasse and the beautiful building and decor. What I didn’t: the incredibly hot weather made it hard to sleep so a fan would’ve been useful. The cost: three nights in July for four people cost £307 in total (£26 per person per night). Praiano is one of the Amalfi Coast’s more peaceful villages. You’re about 20 minutes drive from Positano and Amalfi but away from the crowds. Like the rest of the coast it’s a seriously hilly place, so be prepared for lots of steps, and unless you’re a fearless driver (and not worried about denting your hire car) the buses and boats are the best way to get around. 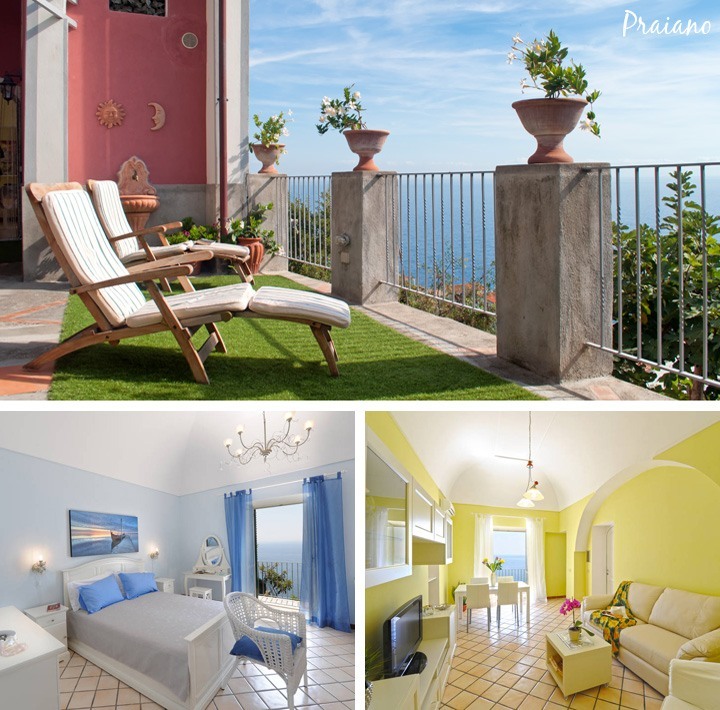 Villa Rojo is on the ground floor of a pastel pink building, halfway up a hillside on the edge of Praiano, with a supermarket two minutes walk uphill and a beach 10 minutes downhill. It can sleep six, with two large double bedrooms each with their own balcony, as well as sofa bed. There’s a small galley kitchen and a lounge with dining area, but if it’s sunny you won’t spend much time inside. The apartment’s huge terrace has fabulous views out to sea and across as far as Sicily, with sun loungers, an outside dining table and BBQ, all surrounded by flowers, herbs and fruit trees. What I loved: watching the boats go by from a terrace lounger, with a G&T with lemon straight off the tree. What I didn’t: if the weather was bad and you couldn’t go outside, the lounge is a bit small for six people. The cost: six nights in October for four people cost £907 in total (£38 per person per night). If you don’t already have an account, sign up with this link to get £25 credit towards your first stay. You can search by location, with or without specific dates, and filter the results by whether they are an entire place, a private room in someone’s home, or even a shared room. Read the reviews carefully – especially if you are going to be sharing with the owner – and you can contact the owner through AirBnB if you have any questions which aren’t answered in the listing. Beware that prices listed in the search don’t include the cleaning fee and AirBnB’s service fee, which will add about an extra 20% (these are displayed when you go through to the individual listing pages). You can create ‘Wish lists’ to save properties you like, which can be public or private – useful if you’re travelling with a group you can share them with other people so they can see which they prefer. Booking is on request so I usually find three or four possible places I like then contact them in order of preference, though if you’re short on time it’s worth contacting a couple at a time. The host’s profile will give you an indication of what their response time usually is. 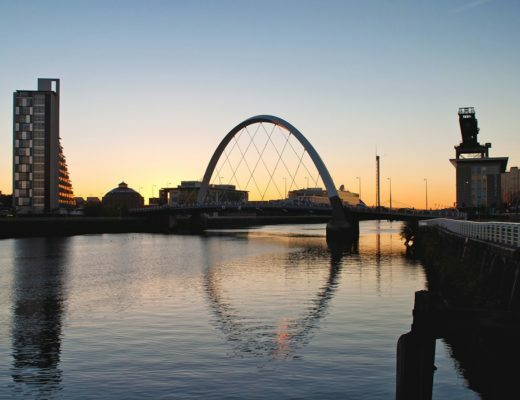 Some images are courtesy of AirBnB but I booked and paid for all my stays myself. This article contains affiliate links, where I get a small commission at no extra cost to you – thanks. 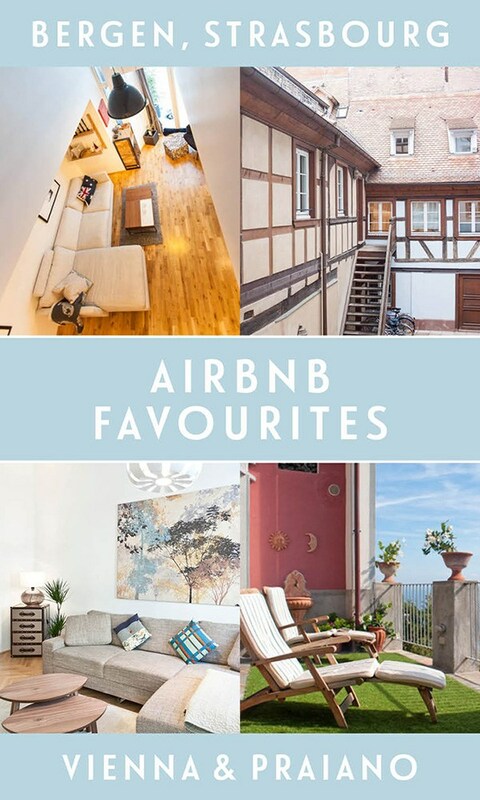 I agree – AirBnB are fantastic! I’ve used them for a couple of trips this year and have had really good experiences! They have such a great range of places to stay – I can easily waste a few hours on there fantasy holiday researching! I LOVE the house in Praiano! Been thinking about doing a similar post like yours but unsure if I should share my favourites because then they’ll be booked up all the time! 😉 Thank you for telling us yours, they all look amazing. And I agree, Airbnb can safe big time if you know how to do it and since staying in all these great flats and houses I have completely gone off hotels for stays that are longer than 2 nights. I need room to spread out and a proper kitchen! 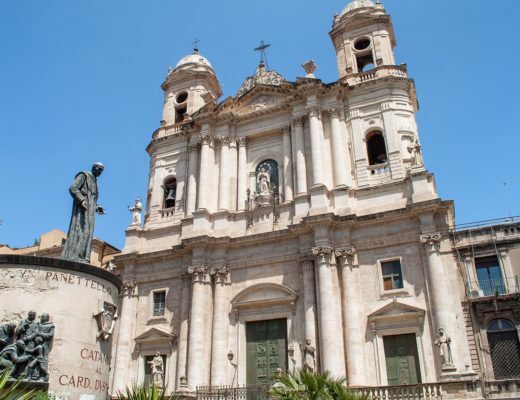 The Praiano place was fantastic – though the terrace was so beautiful it was tough to drag myself away to actually go see things! Totally agree about how great it is have your own space and kitchen to use, definitely beats a hotel room. Look forward to reading about your favourites too if you let us in on the secret! Oops, thanks Vlad, I missed the start off the link address but it’s fixed now. The Vienna place would be fab for Eurovision, and the same owners have a few other properties nearby so there’s plenty of room for all of us! 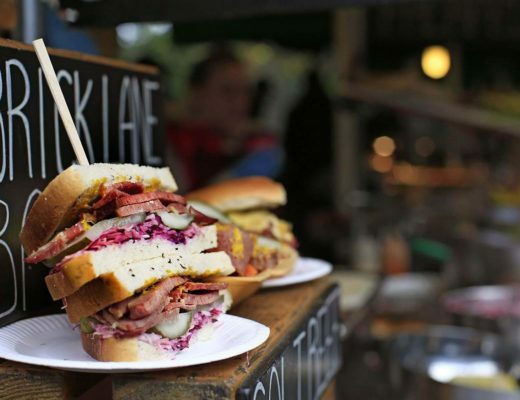 I’m trying one of these in Sydney next month so I’ll let you know how it goes! Look forward to hearing how you get on – and have a fantastic time in Sydney! I do hear that there have been some problems with AirBnB in New York but haven’t tried it out there yet, fingers crossed my experiences elsewhere have been good so far. But I do like the odd hotel night too (with someone else to make my bed and clear up after me!) so I won’t be defecting entirely! 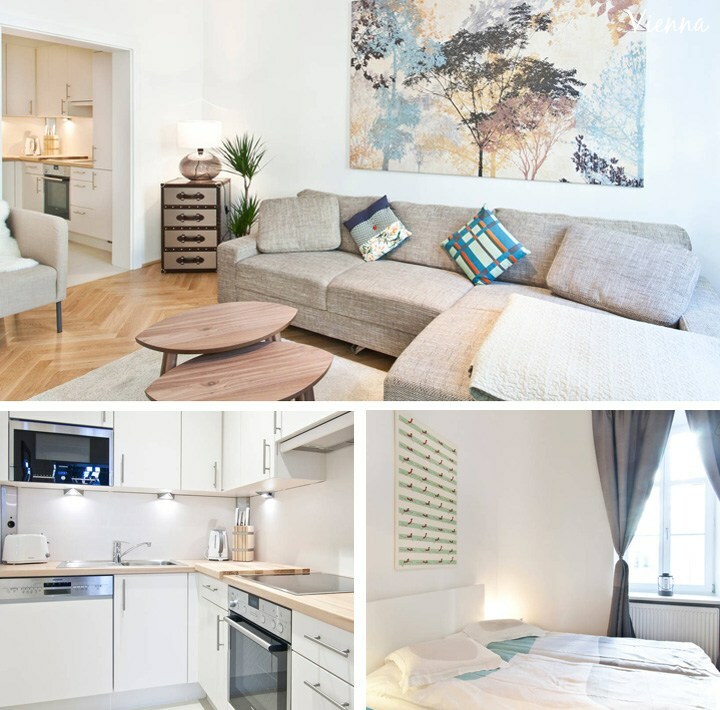 I only came to know of Air BnB earlier this year and when my hubby and I looked at the prices, we became so tempted to try and use them on future trips especially in Europe where hotel costs can be quite high – I wish I’d stayed at that one in Vienna now when I was there last year – looks so plush and so centrally located! The Vienna place was lovely, definitely recommended if you go back! We found the same with European hotels, so often you have to pay a lot for something totally average whereas you can get a lot more for your money with an apartment, especially as there were four of us on a few of my trips this summer. 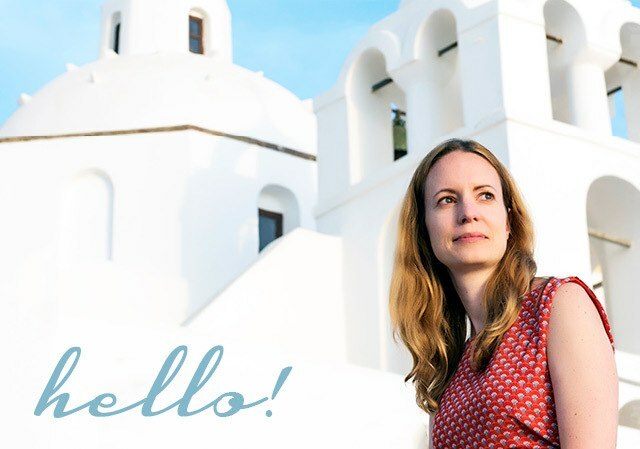 Thanks for this post Lucy – I’ve actually been looking at AirBnB lately as an accommodation option – I particularly like the look of that one on the Amalfi Coast. Hope it comes in useful! The Amalfi Coast place was lovely, I could never get bored of those views. We used AirBnB in Munich – the apartment was great and perfect for what we needed. It was a little strange seeing pictures of the owner with her boyfriend on the wall though! Haha, yes that would be a bit odd! 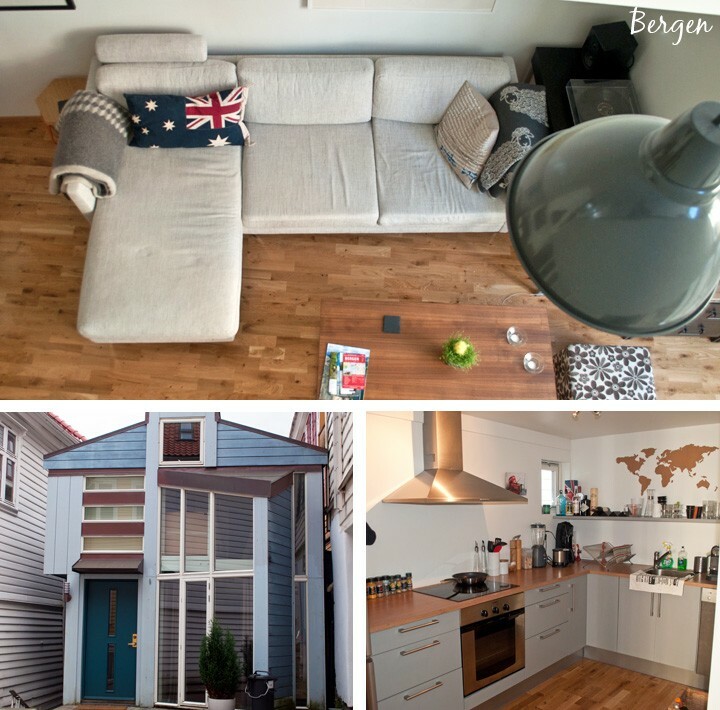 Apart from the Bergen place (where there were a few pics around) the other places I stayed in were are all just used so rentals so were very neutral and no personal stuff at all – which I think I probably prefer! I don’t do Air B&B too often, unless my husband is involved (he has a better track record with this service). I guess my biggest turn-off is having to wait for someone’s response, which might mess up my plans. That’s what happened when I first used Air B&B and I think that experience is still too fresh in my memory… The prices are often worth the hassle, I gather, plus I like the idea of staying in neighborhood that may not necessarily have hotels. Yes you’re right it can be a bit frustrating if you’re having to wait for responses, I’ve usually booked a long time in advance so it’s not too much of a problem but if I’m pushed on time I do tend to go for a hotel instead. I’ve heard lots of great things about AirBnB so my boyfriend and I are going to give it a go for our upcoming trip to Canada in December. So far our experience has been positive, I would just say to start looking early so you’ll have time to request multiple places. We’ve tried at least a half dozen in Toronto but this one night out of 9 seems to be the one we can’t get booked! Oh well still plenty of time. Really enjoyed your reviews of each place and your tips. I looking forward to checking out the unique places we’ve booked too. Hope you have a great AirBnB experience in Canada! Good tip to start looking early, the nice places do get booked up early. I’ve found big cities can be the toughest as there’s a lot of competition but in a smaller place you probably have a better chance. 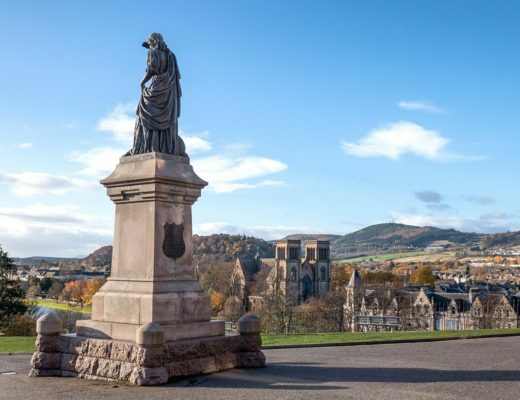 You do need to get in there quite early – the process is a bit slower than hotel bookings so it’s not great for last-minute trips but I’ve usually managed to find a few good options booking a month or so in advance. Just recently stayed in Paris through AirBnb. They are fantastic, makes such a difference for people travelling on a budget! They’re definitely one of my best recent travel discoveries! I’ve always wanted to go to Norway/Scandinavia, thanks for the tip! I love your photos, too! Thanks, I loved Norway and can’t wait to see more of the region – such beautiful scenery and some great cities too!